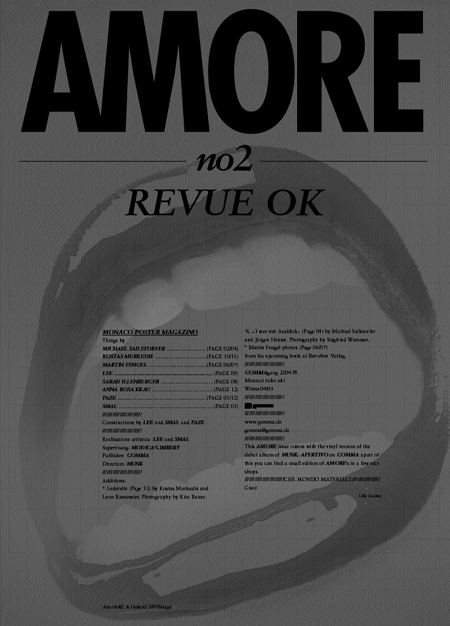 AMORE is a 12 page poster collection. The posters are designed (or show works) by several young german painters, graphic artists, photographers who have one thing in common – they are friends of musicians Munk and the german label Gomma. – Fashion designer KOSTAS MURKUDIS.